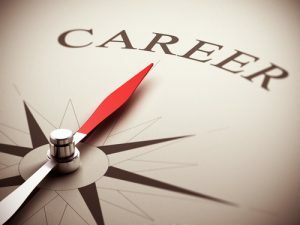 Choosing a career path is an important step in every person’s life. The job we have defines the way we live — not to mention our income. The happiest people are the ones who get paid for doing what they love. When you do what you love, your job doesn’t even feel like work. But finding a job you enjoy isn’t easy to achieve. You need to find a position that you feel fits you and your goals, and your potential employer needs to be sure you are the right person for the job. If you are looking for a career in auto shipping, Omaha Car Transport can be the right place for you. See our potential openings and become a part of our team! At Omaha Car Transport we are always looking to expand. Contact us to see if we have any positions available. If you are the right person for the job, we can hire you on the spot. If you would like to work for our company as a driver, you need to have at least two years of experience and a good driving record. You should also pass our physical exam (since this job requires heavy loading and unloading) and a drug test. If you are interested in working for Omaha Car Transport as an owner-operator, your truck needs to pass required inspections, including DOT Level IV inspection and our company’s check. If you are considering becoming a dispatcher, you need to know the US map with safe routes, highways, and bridges, as well as vehicles, makes and models. Our agents work with our clients, so they need to be great at customer service and multi-tasking. Our perfect candidate should have at least two years of experience in customer service and be able to handle phone calls on several lines while assisting our clients with all their questions.